Yesterday was a special day. My nephew Will would have been two had he been allowed to stay here on earth. 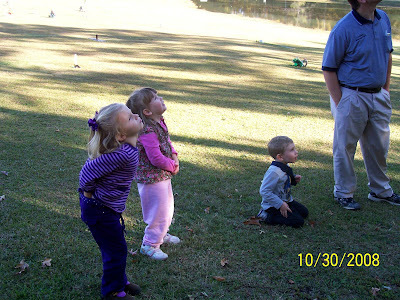 After picking up Kenidee and Ansley(little girl I watch) from school, we met Heather, Chris and Ben at the cemetery. 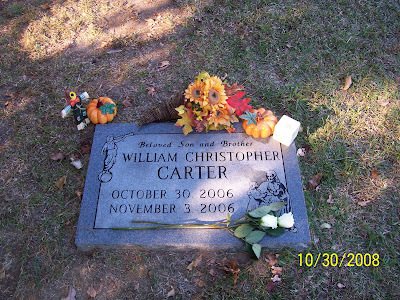 The cemetery is less than a mile from my house, and it is also known as "Will's place". 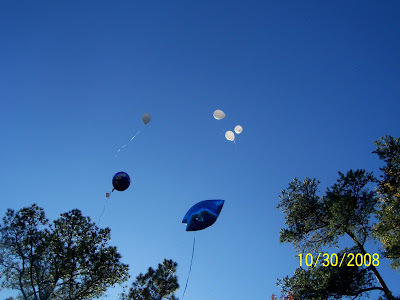 Heather brought balloons, and we sent them off to William in Heaven. 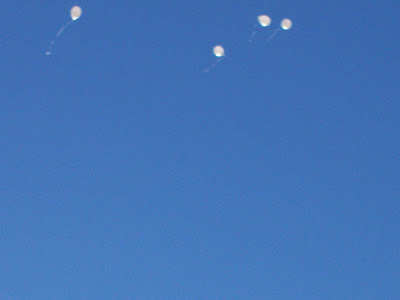 We sang Happy Birthday, Twinkle Twinkle Little Star (Will's song) and blew bubbles. How grateful I am for this gospel that gives me the knowledge that Families are Forever. We have the peace and happiness that we will be with him again one day, and that Heather and Chris will have their little boy with them. They are expecting another brother for Ben and William in January (name to be announced as soon as Heather chooses! ), and we are excited for his arrival. I know Will is too.